Bath time, huh? Some babies find it very, very confronting. Others adore it. Luckily a bit of preparation can go a long way towards turning the former into the latter. If you’re too exhausted from night-feeds and meltdowns to remember what you might need to make baby bath time fun and stress-free, you’ll be pleased to know we have your back. Not only have we done the thinking for you, we’ve prepared a helpful cheat sheet to make those tub encounters a whole lot less fraught. Gather your supplies and cheer up, because a less snotty, more smiley bath time experience is now at your fingertips. Baby bath – Sometimes the kitchen sink does the job, other times a conventional baby bath is the answer to your bath time dreams. Bath ramp or bath seat – You don’t absolutely need this, but it can make things a lot easier when you’re handling a wriggly bub in a regular bath tub. The bath ramp/seat stops your baby from sliding or slipping under the water. Baby shampoo – Choose a specially formulated baby shampoo – like Cetaphil Baby’s Gentle Wash and Shampoo to protect sensitive skin. It contains no parabens, mineral oils, colourants, animal origin ingredients or soap. Bubble bath or baby bath wash – A bath wash made especially for babies is an easy alternative to wriggly bars of soap. Cetaphil Baby’s Moisturising Bath and Wash is a great choice and gentle enough to use daily. Fluffy towels – At least one. Possibly two! Use one towel to pop your baby on, post bath and another to snuggle them in and dry them with. Hooded towel – Substitute one of the many post-bath towels for a hooded towel and your kiddo will be snug as a bug in a rug, from top to toe! Wash cloths – Gentle wash cloths or sponges make cleaning delicate skin a breeze. Bath thermometer – So you can literally test the water before you pop your baby into the tub. Not vital, but useful. Music – It can be nice to put on some relaxing music to set a gentle tone and help your baby slow down. What products do I need for after bath time? A change of clothes – For the baby, not you, although you may need some too! Nappies and wipes – More than one, because accidents happen at the darnedest times. Nappy bags – For used nappies. Nappy change products – Whichever baby lotions you prefer (Cetaphil Baby’s Daily Lotion is a good one!). Be aware that baby powder is no longer recommended. Spare towel within reach – Just in case things get super soggy. Remember to keep your phone well away from the bath – in the next room, if possible. Not only is it a possible distraction, it might plonk into the bath and meet an expensive and sudsy end. We wish you many happy, stress-free bath times with your bub. 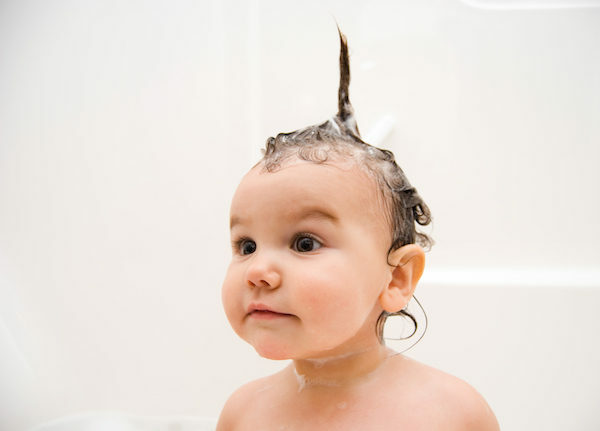 What are your best bath time tips for parents with little ones?